85 billion hours is a lot of time. It’s 3.5 billion days, or over nine million years — 9,582,650 years, to be exact. And it’s 11.425 hours for every human being on the planet. That’s how long we’ve collectively spent in WhatsApp over the past three months. 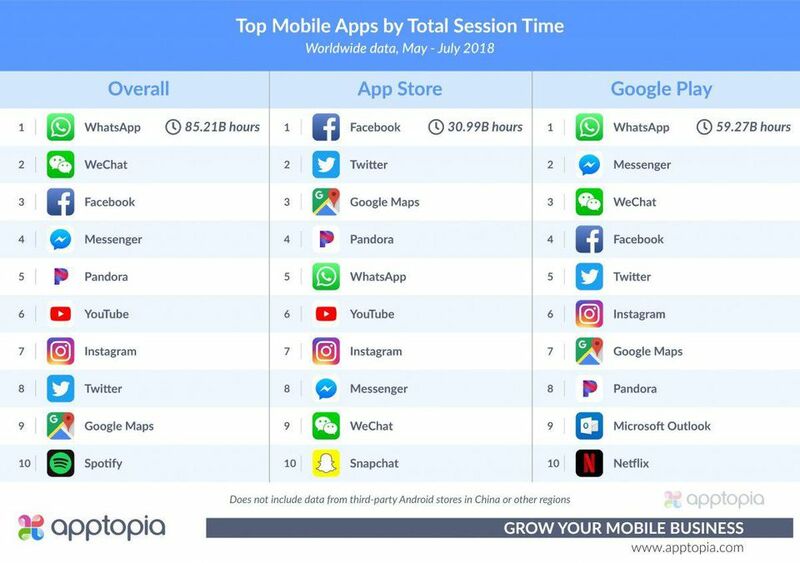 At least according to app analytics company Apptopia.